Can you describe yourself to us? 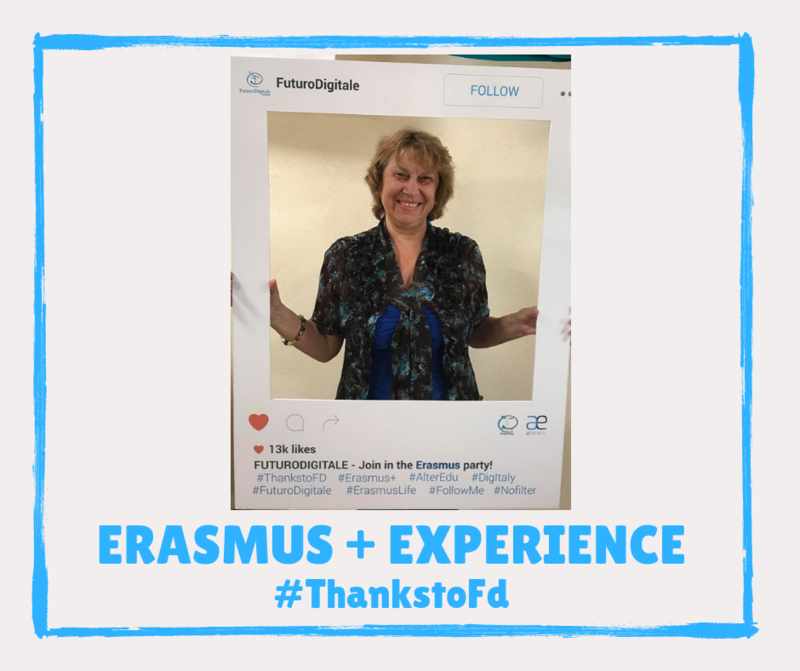 What is the reason that you do Erasmus? I am Boyanka Alexandrova and I am head of the Center for Information and Professional Orientation at Prometheus Pro in Varna, Bulgaria. My job аs a head of the Prometheus Pro Center for Career Guidance and Career Guidance gives me the experience and psychological approach to working with young people. My job as Manager with children and young people requires new approaches and opportunities for social inclusion and development of individuals actively involved in civil society. Main goal is Deepening my knowledge of young people’s career development, Italian culture and traditions by learning new practical knowledge and skills. Strengthen the my motivation and interest by practicing in projects, developing creativity and collective thinking, stimulating initiative and entrepreneurship through the dissemination of competencies achieved, the promotion of events, films and photo shootings. Why did you choose Futuro Digitale? Do you recommend it to other students? I have built relationships since 2014 with Futuro Digitale. I choose the international NGO team Associazione di Promozione Sociale Futuro Digitale will give me a practical experience in working for the integration of migrants, people with disabilities and excluded from society..This internship will help me to reveal and apply more European values, intercultural cooperation and to direct, organize and assist more efficiently the young people in their future actions. My desire is related to building partnerships to promote youth exchanges, initiatives, festivals, round tables, youth workshops, sporting events and more. Of course, I am not only satisfied with participating in the Erasmus program for young entrepreneurs, I have another look at integration with people from different countries, nationalities, religions. My communication with them showed me that we are all of one human race and there should be no differences, hatred, aggression. This place where I was 6 months in Terranova da Sibari, quiet, calm, with smiling people, I found myself from childhood until now, I found the wonderful Italian cuisine, the kind housewives, their neighbors, friends. What is the strengths and weaknesses of Futuro Digitale for you? This organization was set up five years ago and in such a short time there have been great successes. Starting with the Erasmus projects and the participation of countries in them not only from Europe but also from Argentina, Brazil defines the organization, the development of the settlement and the region. It is a positive and particularly effective participation of trainees in educational mobility for higher education, vocational training and migrants. I do not see weaknesses, the only thing that is that they can expand and develop their activity in a larger space. What is the most unforgettable moment of this experience for you? Oooh, I can only say one such moment, they are very much related to the team and work in the office, the cultural events, the excursions in the magnificent Italy … But what excited me most and dumb hell forgets for a long time was my participation in the Restoration of Christ’s torments before Easter as a peacemaker. These three hours in which I was part of this theatrical performance, I discovered myself, my inner soul and humility. What advice would you give to the future young learners? To believe in themselves, to be inspired and curious, not to stop their growth only in the environment in which they live.